Massive congrats to the lovely Rachel Billings for her amazing cover of the new Built Magazine shot at CAMP VC in August. Go buy it to check out her amazing 11 page article on the event & what went down! In love with this post from CAMP VC 2017 by Paula Viidu for her blog. The first weekend of August, all things good collided and Camp VC took place. VC girls, Nefarious crew and around 200 other radical ladies of the highest caliber headed to Brecon Beacon-Wales for a jolly good time. If you’re unfamiliar with VC London then, VC is a group of women passionate about riding bikes and everything around it. They’re coolest of the cool (ice cold!) and for the second year running, they organised a camp to meet likeminded ladies and share their love for bikes. This year, they invited Nefarious crew to come along to add skateboarding to the mix. For the latter, Vans Europe and Lonely Pony Studio built the most perfect mini a gal can ask for and voila, there you’ve a recipe for the best weekend evaaa. To read the rest of the article & Images click HERE . This amazing brand that originally started with a Mens kevlar jeans range are now currently running a kickstarter for their womens kevlar lined skinny jeans range. Made with premium stretch denim & lined with dupont kevlar, their skinny cut stretch jeans have a high waist (to avoid any awkward muffin top situations when belting it on your bobber) & come in black & deep unwashed indigo blue, making them a great safe alternative to riding in regular jeans without having to compromise. We think its great to see someone addressing the issue of fashion & fit with inbuilt safety in a pair of jeans made specifically for women riders. Finally a skinny jean thats not gonna take your half your skin with them if you come off! ......Now thats something to invest in! Today is our first all girl CBT day with Scooter Den! 12 new ladies riders are gonna be ready for the road! Weeeeeeeeeew! A huge thankyou to all the girls that have come down to learn some moto basics with us! Thanks for being mad enough to let us crazy lot teach you about bikes! Its been incredible to meet so many new like minded women..... It's exactly why we run this thing! So bloody proud of you all!! Big Love , good luck and can't wait to go on the first VC all girl ride out with you all soon! "JUST GET OUT THERE AND RIDE"
Its not so often you see an 80 year old woman riding a dirt bike, but then this is no ordinary lady. This is the legendary Mary McGee. 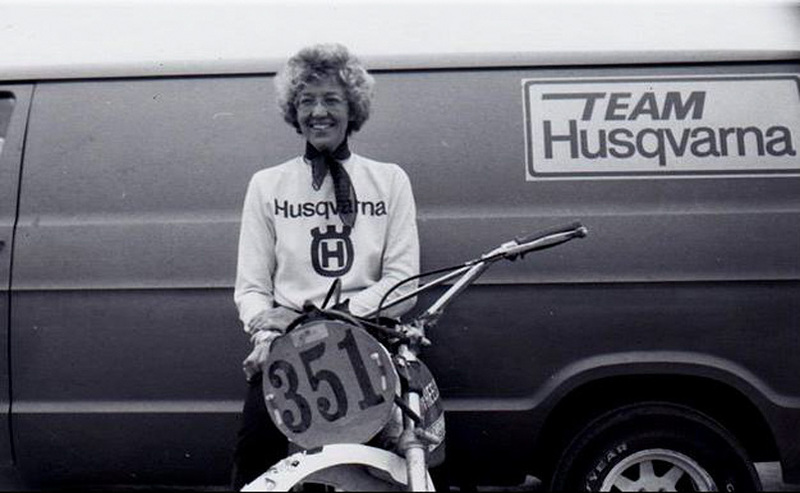 This incredible woman is a pioneer in the world of women motorcyclists who amongst her vast achievements has ridden her 250cc Husqvarna solo in the Baja 500 race ripping by over 17 two man teams. Mary started car racing her early 20's in Arizona & progressed onto motorbikes, after a friend let her borrow his 1956 Triumph tiger cub. 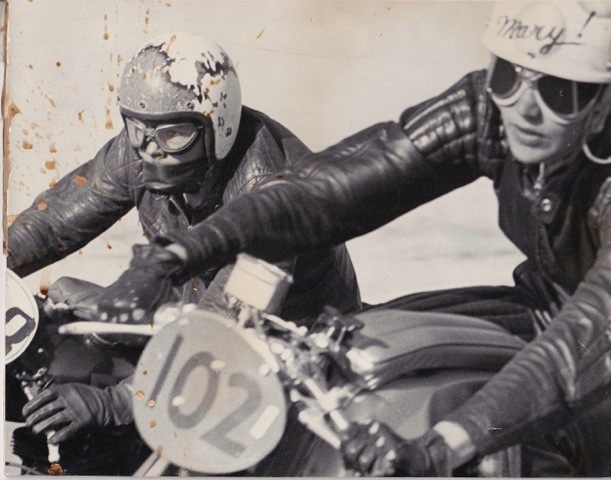 She then started racing in 1960, racing her first race on a Honda cb92 125cc. 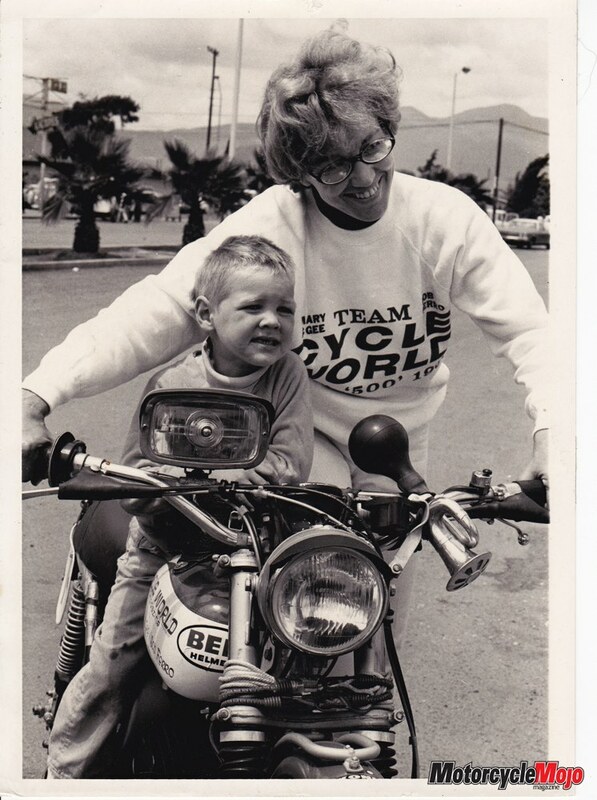 This lady has ridden desert & dirt motocross (which she still does up until today racing in the over 70's class on a 1974 Husqvarna 250) and has a place in history as one of the trailblazers for women riders in motorsport. 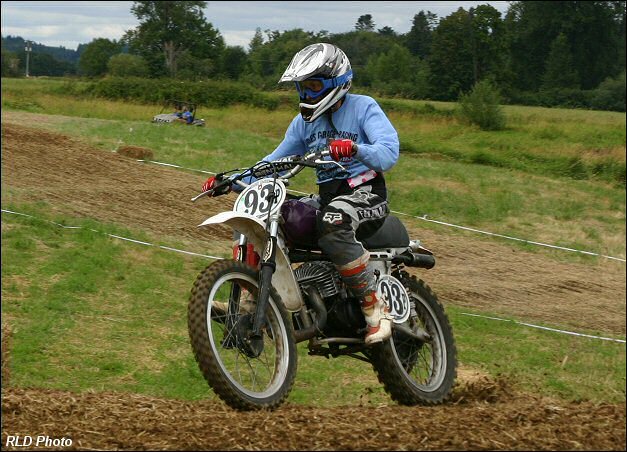 "I’ve been told that I’ve inspired other women to ride, especially by female riders who came up to me in Carson City at the AMA International Women & Motorcycling Conference in the summer of 2012. If I’ve done anything to help, that’s great. Women hold up half the sky! Women have long faced more obstacles than men, it was always NO such as “No, you can’t vote,” or “No, you can’t race.” Or No to any random thing. Women heard a lot of “No! Women can’t do that.” I did my time demonstrating for Equal Rights, Pro-Choice and Title 9. When it comes to motorcycling, I always say, “Just get out there and ride.” Motorcycling equals freedom, plus it’s such fun. You feel so different on a motorcycle than in a car. Being a woman on a motorcycle somehow makes you feel more important, like you’re telling the world “I can do this”. More women should also enter any kind of racing event. Just enter. You may not win, but at least you entered. My goal was to always finish." Recently the internet has been blowing up with news on the very inspiring female rider from Iran. As one of the first in group of female motorcyclists in Iran to obtain official permission to practice on off road circuits & the only women rider in Iran to have done pro road racing, Behnaz Shafiei is the 26 year old that is truly paving the way for women riders and womens rights in motorsport. Get yourselves over to this lady's instagram to see her ride dirt, race track & pull tail whips like its going out of fashion. Also click HERE to read her recent interview on the guardian website.